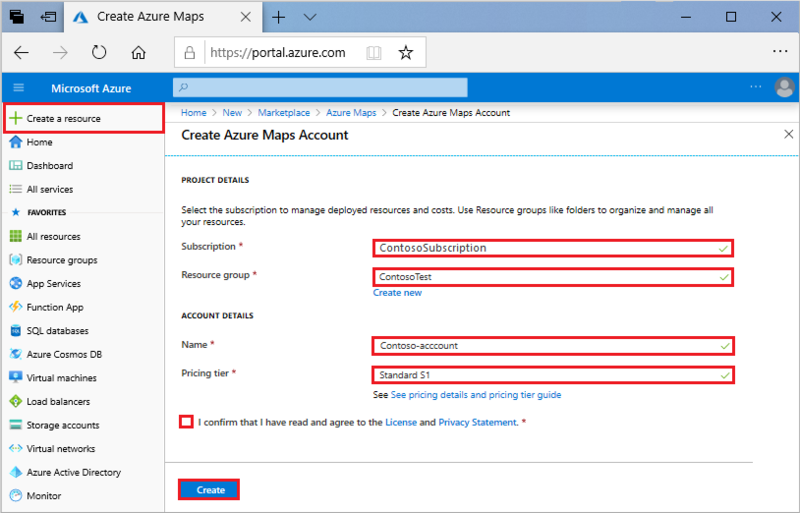 You can manage your Azure Maps account through the Azure portal. After you have an account, you can implement the APIs in your website or mobile application. 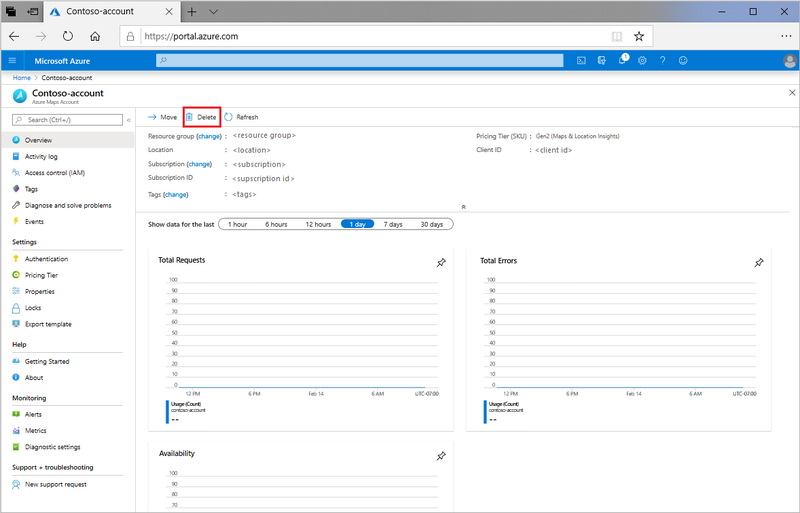 Select Create a resource in the upper-left corner of the Azure portal. Search for and select Maps. Then select Create. You can delete an account from the Azure portal. Navigate to the account overview page and select Delete. You then see a confirmation page. You can confirm the deletion of your account by typing its name.